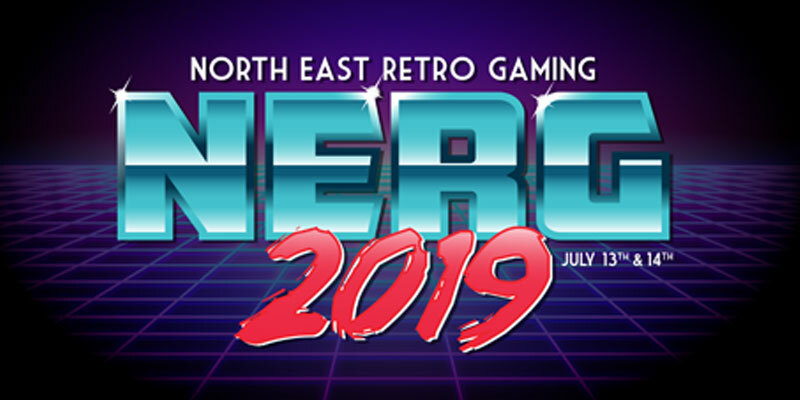 Nerg is a retro gaming event which first started in 2013. 2019 will be the 7th yearly event(where have you been?) It’s all about re-creating the 80’s arcade. A mix of video arcade, pinball and console games as well as traders selling retro goodness. The event is held over two days: Saturday 13th July & Sunday 14th July 2019. What time can I bash buttons (do the doors open)? The doors open at 10:00am on both days. Can we eat and drink at the event? Food(hot and cold) and beverages (alcoholic and non alcoholic) will be available to purchase at the event. How much will it cost to play the games? All machines at the event are set to FREE play. All you have to pay is the admission price and you can play until throwing out time. I’m addicted, where can I get these machines? There are forums(support groups) out there that cater for the arcade collecting market. Just ask a member of staff and they will gladly point you in the right direction. Can I buy any of the machines which are at the show? Some, not all, of the machines will be available to purchase after the event. A notice will be placed on a machine if it’s for sale. What can I do on Saturday night? A few of us will be heading out to the hit the high spots in Newcastle. There are plenty of restaurants and bars as well as a cinema in Newcastle city centre. My wife/husband/partner wants to come with me but isn’t interested in gaming? That doesn’t stop you making a weekend of the event. There is the sightseeing in Newcastle, the nearby shopping at Eldon Square and the Metro Centre and there is also the day time socialising(drinking)! I want to be there for the full weekend, where can I stay? NERG have an agreed rate with the Ramada Encore hotel. This is very close by to the event. A ten minute walk. PLEASE NOTE – Only a limited amount of rooms are available. The agreed rate is £80 per room, per night B&B.